HootSuite is a social relationship platform allowing companies to apply wonderful social media strategies and activities. Hootsuite’s vision is to revolutionize the communications, empowering its users to transform their message into effective and meaningful relationships. Boasting tons of useful features and specializations, it’s little surprise that Hootsuite is already used by tens of millions of people worldwide! 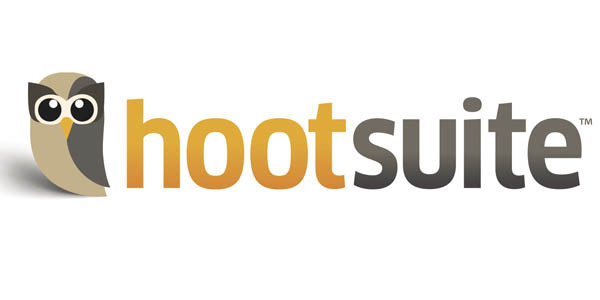 Indeed, Hootsuite is a popular company based in Vancouver (Canada) and its product is used by at least 10 million of people in over 175 countries. Several well-known brands use and trust Hootsuite such as Visa, eHarmony, Accorhotels, PennMutual and so on. As a current user of Hootsuite, Service.fit is happy to recommend this amazing social media tool. That’s one of the biggest reason to use Hootsuite. Thanks to this one place, you do not have to remember all your passwords and do not need to go to each individual site for a daily check. Moreover, with Hootsuite you can post updates and connect with your Customer base, review answers on more than 55 popular social networks such as LinkedIn, Twitter, Facebook and so on. With Hootsuite you can also connect with other platforms such as Instagram, MailChimp, Tumblr and so on. It’s possible to save time managing multiple contributor sharing data and access without sharing passwords. Access and choose from a big selection of design themes while working smartly with columns, tabs, and social streams. You can also improve your team productivity by tracking responses and progress. You can collect useful information by tracking mentions of your brand, product, search terms, and industry. You can create a personalized report to get insights and data on what matters to you. Moreover, your Enterprise team is well protected when they post social profiles from mobile and web accounts. You can choose to pay monthly or yearly and get discount price for paying annually. However, the interface can be confusing: it can be advantageous for some users but become drawbacks for other users: when you have so much activity within one tab, the interface tends to become overwhelming. The wide range of features requires users to spend the time to learn them. Which problems can Hootsuite solve for you? Problem with remembering to post pictures or post on social media network, like facebook? Hoosuite solves this problem thanks to its ability to schedule your posts in advance so that you don’t have to worry about. Actually, Constant posting is a key when it comes to social media networks and Hootsuite is how to stay active and consistent. Thanks to this Platform, we are able to obtain statistics in real time on our brand’s behavior. Saves emails, communications and cuts down on confusion. If you are a very busy non-profit organization with a small staff team without a lot of time to spend on various social media Platforms: Hootsuite is ideal for you as it allows to see what you need to see without spending a lot of time. Thanks to this product, the collaboration approval process works really well both for B2B or B2C. Its technology is great and it makes life easier for our social media team. Thanks to Hootsuite, Service.fit achieved client’s social media goal -from brand awareness to lead generation-. To conclude, Hoostuite is also great to solve analysis problems. 4 Pricing plans are offered. You can access a 30-day free trial for the 2 first pricing plans. Today, a lot of businesses use their social profiles to provide Customer support, offer personalized offers and deals to followers and prospects that can easily become new customers. And Hootsuite is a really effective and performant support allowing companies to manage without effort several social profiles at the same time. HootSuite offers several features at different prices, and this tool suit best the small business that doesn’t necessarily have a big budget. If you want to learn more about HootSuite, click here.